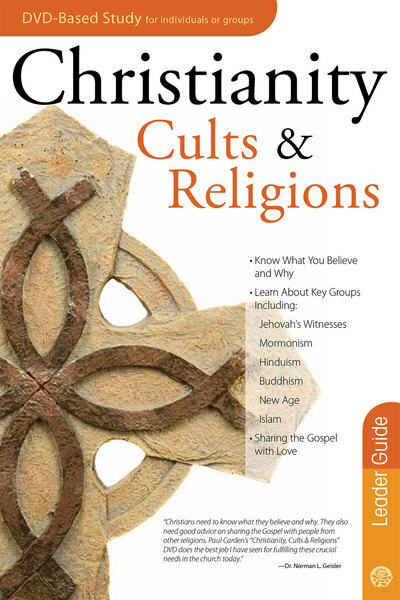 Teach about cults and religions without being an expert. This is the Leader Guide that goes with the 6-session DVD for small groups that wish to know more about the differences between various religions and cult groups, from a Christian perspective. It can be used by itself, but is most effective when used with the DVD, participant guide, and handbook shown below. For more than 30 years, Paul Carden has been a leading researcher of religions, cults, and new religious movements. For six years, he co-hosted the live, nationwide "Bible Answer Man" radio broadcast. He joined Christian Research Institute and was the director of International Outreach under its founder, Walter Martin. Today he is executive director of the Centers for Apologetics Research, an organization that monitors and researches religions and cults around the world. Eastern Religions: Hinduism, Buddhism, and New Age.